MANILA (Mindanao Examiner / Oct. 9, 2011) – Philippine communist leaders admitted that one of its spokesmen had died apparently from a heart attack. 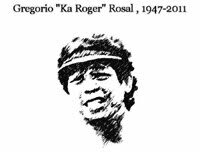 Gregorio Rosal alias Ka Roger died on June 22, but his demise was only announced on Sunday to allow more time to inform his family about the death. He was 64. 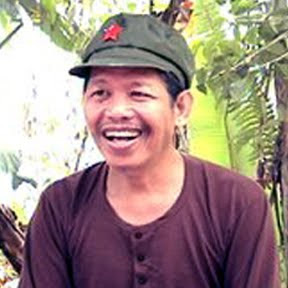 “The Communist Party of the Philippines wishes to inform its entire membership, all revolutionary forces and the public in general that CPP spokesperson Gregorio "Ka Roger" Rosal passed away in a guerrilla zone on June 22 after suffering a heart attack,” it said. But details of his death were not made public or the place where Rosal had died. “The entire membership of the CPP, Red fighters of the New People's Army, revolutionary forces and the Filipino masses mourn Ka Roger's death. In a separate statement, the CPP Central Committee paid tribute to Ka Roger, saying hi s life of service to the revolution will serve as an inspiration to the people to carry forward their revolutionary struggles,” it said. The Philippine military previously made announcements about Rosal’s poor health condition following a stroke in his jungle hideout in Luzon Island. And several times, security officials claimed Rosal had died from lingering illness. The CPP has called on communist rebels to give tribute to Rosal on October 15.